The software helps to convert complete mailbox data from IBM Lotus Notes NSF file to Outlook PST format. All properties (to, cc, from, sent time & date, subject, attachments, received date & time) get easily converted into PST format. Using the Technician & Enterprise edition of NSF to PST Converter tool, user can convert NSF file data in Exchange Server. Also, both version allows bulk conversion of IBM Lotus Notes mailboxes into MS Outlook & Exchange Server mailbox. 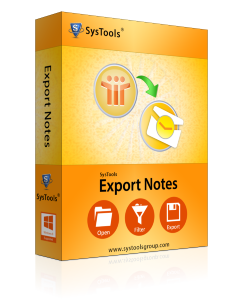 Lotus Notes to Outlook tool provides provision of exporting Lotus Notes address book into separate PST file. Just define the names.nsf file path and check Migrate Contacts into single PST file option, all address will save in new pst file. NSF file emails those are encrypted can be easily handled by tool. The product is embedded with Remove Encryption option that helps to get encryption-free Lotus Notes messages into MS Outlook PST format. Program is embedded with Email, Calendars & To-Do filters as per the demands of users to help in migrating only specific date range data. Just define the date range, only respective time period data will be transferred successfully. The tool has advance option to migrate data from Lotus Notes All Documents view. Just check the option of All Documents and get the entire data exported into format of MS Outlook pst file. All attachments & properties are also exported. The product comes with Folders filter option those allows excluding of System & User defined mail folders for migration. Any folder (such as: Sent Items, Deleted Items, Trash etc) can be excluded for migration. NSF to PST Converter software has functions to maintain the Internet Header as well as HTML formatting having images, signatures, hyperlinks etc. Just select the both option so that original formatting of emails can not be hampered during conversion. Utilize this advance option that permits users to get output pst file in multiple parts. User can set the size of pst file on basis of GB or MB. Latest release of software handles Lotus Notes Canonical Names and appropriately maps them into an SMTP Email address provided by user. Also, multiple CN value can be mapped at once. This option allows users to filter the Lotus Notes journals as per specific date range. Users can convert the selected Journals to Outlook PST file form. Use this inbuilt function to exclude the duplicate Contact entry while converting names.nsf to PST file. More than 10 criteria is inbuilt to find out duplicates. Conversion from Lotus Notes to Outlook is commonly seen in big establishments where NSF to PST conversion is required due to Domino Server downtime, problems during usage of Lotus Notes as it is highly technical application etc. Many more reasons are there due to which Lotus Notes users are moving into MS Outlook and optimizing process to convert NSF emails to PST. For successful migration from NSF file to PST, it is crucial to acquire an easiest application like Export Notes that has expertise to Convert Notes mail Database into Outlook PST format without losing any original property. You should learn entire NSF to PST Conversion procedure before making investment for purchase, for this purpose we formulated free NSF to PST converter that moves limited data from Lotus Notes to Outlook but, elaborates entire procedure of email conversion. After being satisfied with trial, you can select the suitable license for unlimited data conversion. Latest Edition is released with more advance features and now Software also Support all MS Outlook (2019, 2016, 2013, 2012 and 2010 (32 & 64 bit)) Editions. What number of NSF Files I can move over into PST file at once? Corporate License of product can convert just single NSF file at once to PST but Technician and Enterprise licenses permit moving of numerous NSF files to PST files immediately. Can I convert Encrypted NSF messages using this NSF to PST conversion tool? Yes, you can convert encoded messages of IBM Lotus Notes. The NSF Export tool has advance setting to Remove Encryption while migration process is running. Is software convert password protected NSF file to Outlook PST file? No, if you have protected NSF file then unprotected the NSF file with associated user id password. Once it open, run the software and convert NSF file to Outlook pst file. Is Domino Server environment is necessary for migration? No, Software does not require Domino Server environment to convert NSF to PST. Rather you are obliged to disconnect Domino from Lotus Notes before performing converting process. You just need to have Lotus Notes and MS Outlook installed and proper configured. Is there any file size limitation while NSF converts into PST? NSF to PST converter does not have any file size constraint on NSF & PST file. You can migrate any size of Lotus Notes database into PST. The software did the great job as my entire NSF file emails are migrated in its original structure into PST format without any alteration. I found it as strong tool and would like to thanks developers team for such valuable creation. I have NSF file with me which I wanted to migrate into PST format, but was worried about encrypted emails in NSF file. But Lotus to Outlook conversion tool has work perfectly for me, its Remove Encryption option has done miracle for me, rescue me to convert Encrypted emails to PST format. NSF file is large in size which I want to migrate into PST format, but was actually aware of PST file size as it may increase 20 GB limit, but the software became tremendous solution that helped me to automatically split PST file and has created two PST files as per my needs. Lots of thanks for you.